Amid a historic government shutdown, distinguished journalists share their insights on a range of issues. 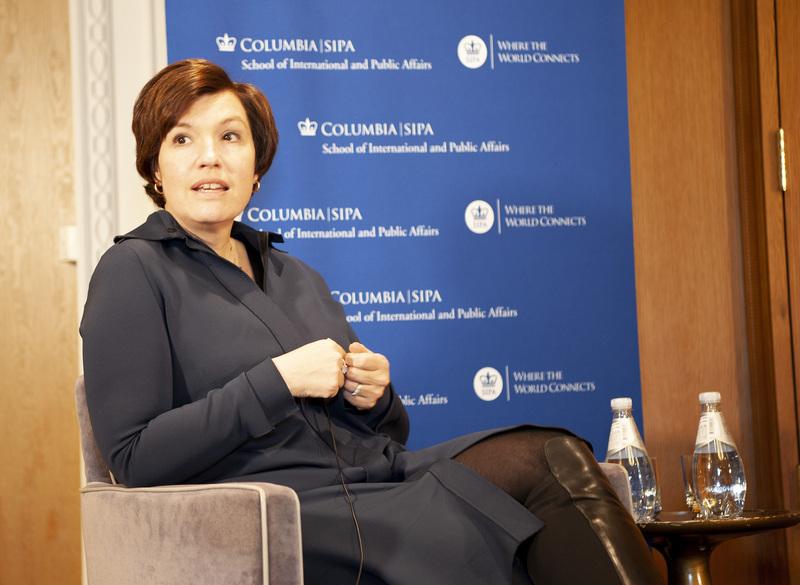 The 43rd Annual SIPA Career Conference and Alumni Reception in Washington, D.C., will be remembered for its unusual context: it took place amid the longest federal government shutdown in the United States history. 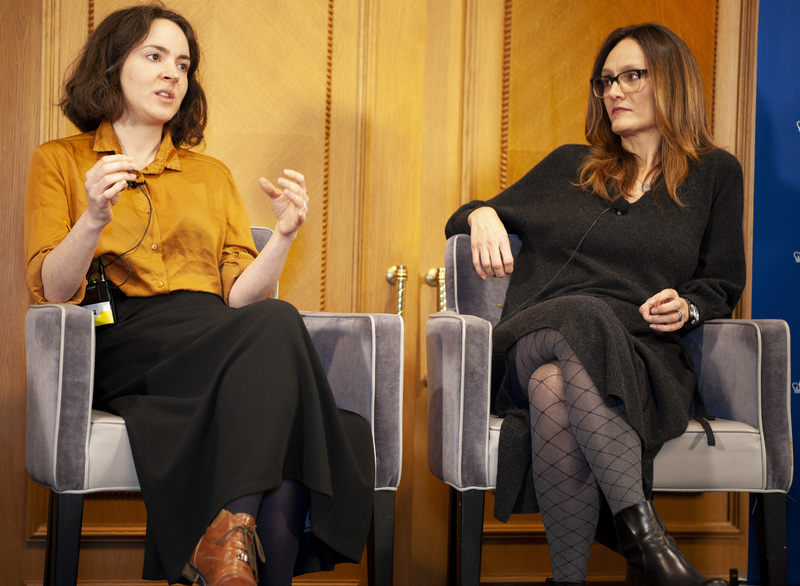 It was one thing for current students to be anxious about their post-graduation prospects, but it was another for a group of renowned journalists trying to make sense of the unprecedented circumstances. The only certainty? It was time to rethink everything. Susan Glasser, staff writer for the New Yorker, Soumaya Keynes, U.S. economics editor for the Economist, and Rachel Martin MIA ’04, host of NPR’s Morning Edition, joined Dean Merit E. Janow for the January 17 keynote panel covering a wide array of issues — from the Trump presidency and the economy to foreign policy and journalism in the new age of disinformation. 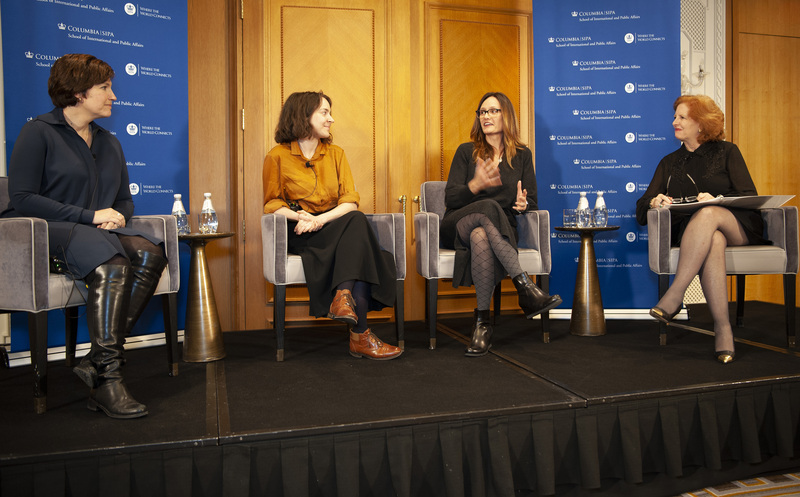 “We’re probably going to look back on the first two years [of the Trump presidency] as the quiet period before the storm,” Glasser said as the panelists shared their impressions on the unique challenges of covering the 45th president. Martin noted that the political issue that dominated both 2017 and 2018 — immigration — would continue to grab headlines through the 2020 election cycle. After the conversation moved on to economics, Keynes cited a range of contradictory indicators when she said that predicting a recession is difficult. 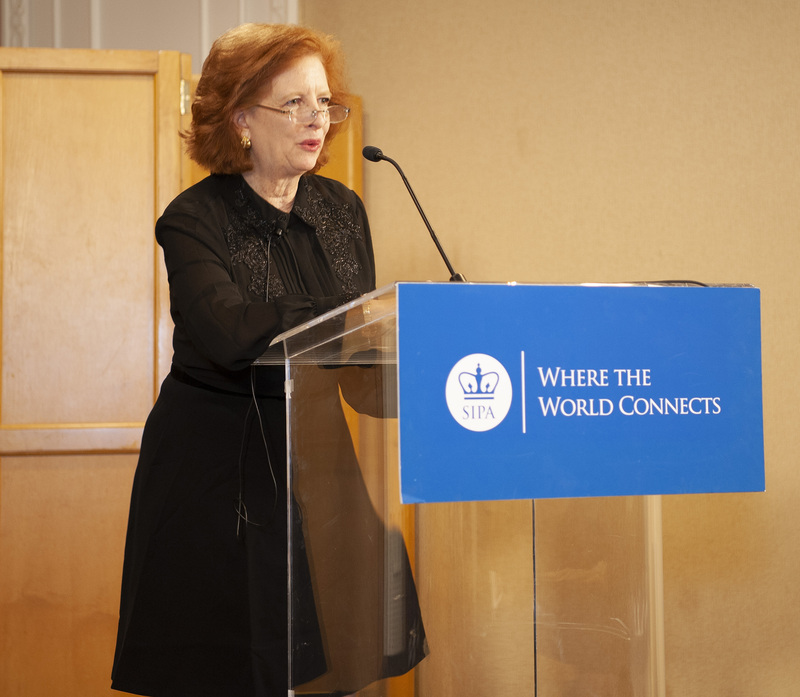 Glasser spoke about U.S.-China relations, focusing on the Trump administration's withdrawal from the Trans-Pacific Partnership. 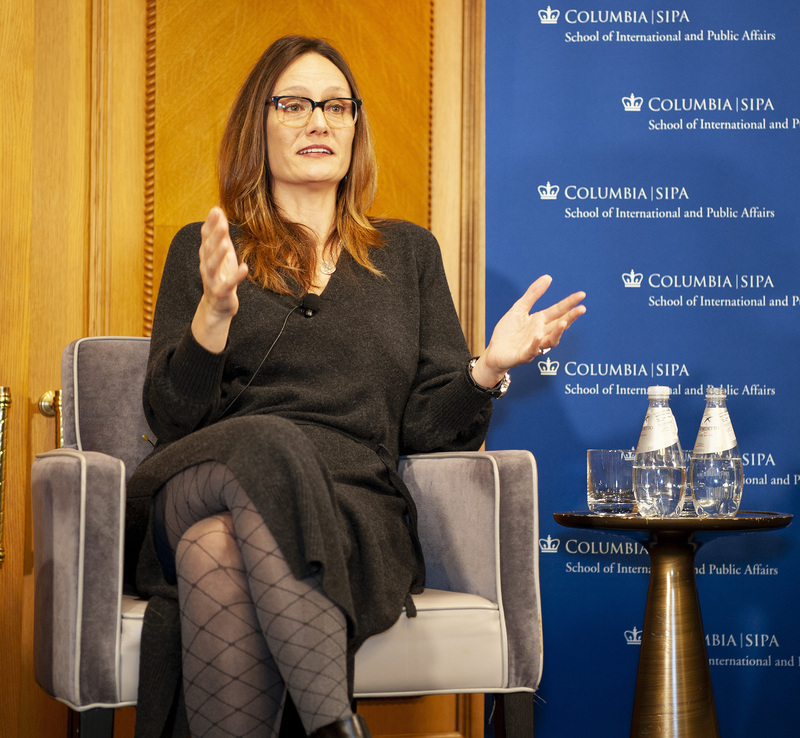 Janow asked the journalists to reflect on the state of journalism in light of the attention given to “disinformation and its consequences” in the aftermath of the 2016 election. 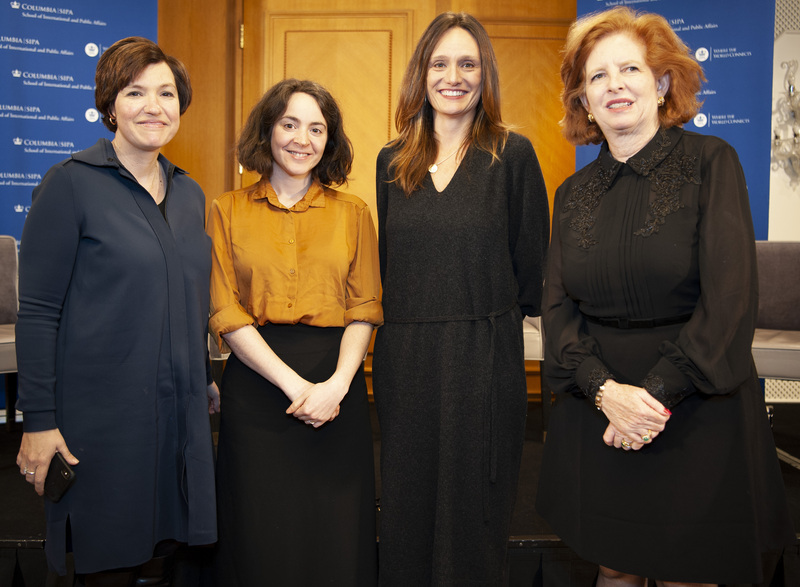 Susan Glasser, staff writer for the New Yorker, Soumaya Keynes, U.S. economics editor for the Economist, and Rachel Martin MIA ‘04, host of NPR’s Morning Edition, joined Dean Merit E. Janow for the January 17, 2019 keynote panel.